In June, BAZ-ART was commissioned by AfroCentric to find 12 artists to create canvasses campaigning for the gift of health. 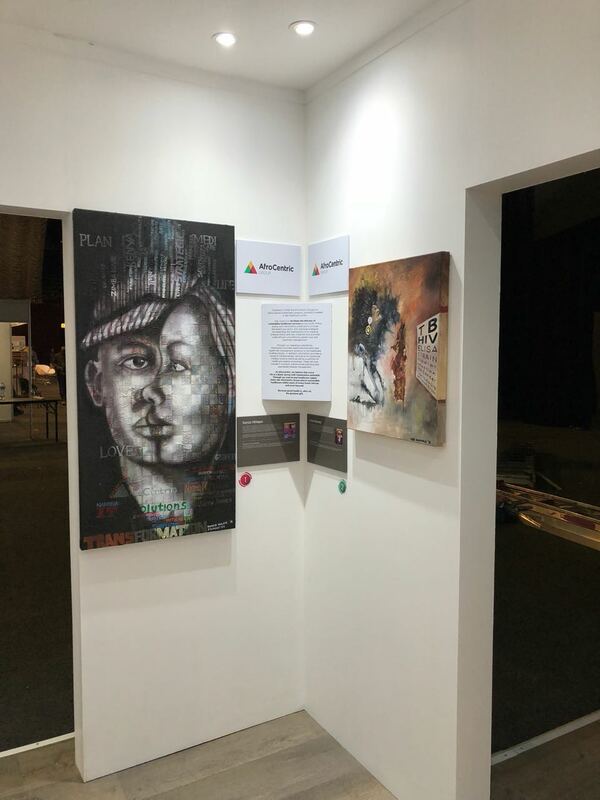 The canvasses were to be exhibited at a conference in Suncity where it was to be voted upon and the winner to be gifted R10 000. AfroCentric, established in 2008, is a black owned investment holding company, which is substantially invested in healthcare. Through its subsidiaries, AfroCentric provides health administration and health risk management solutions to the healthcare funding industry. In addition, AfroCentric provides a range of complementary services to its medical scheme clients as well as a number of healthcare-related businesses. These services include medicine distribution, IT solutions, transactional switching and specialised disease management. AfroCentric was founded on the core philosophy of transformation and empowerment, and is one of very few black-owned and controlled companies on the JSE. AfroCentric believes in the all time African philosophy that says “We rise by lifting others” and have extended the opportunity to emerging artists from impoverished backgrounds to gain exposure amongst the medical insurance industry. 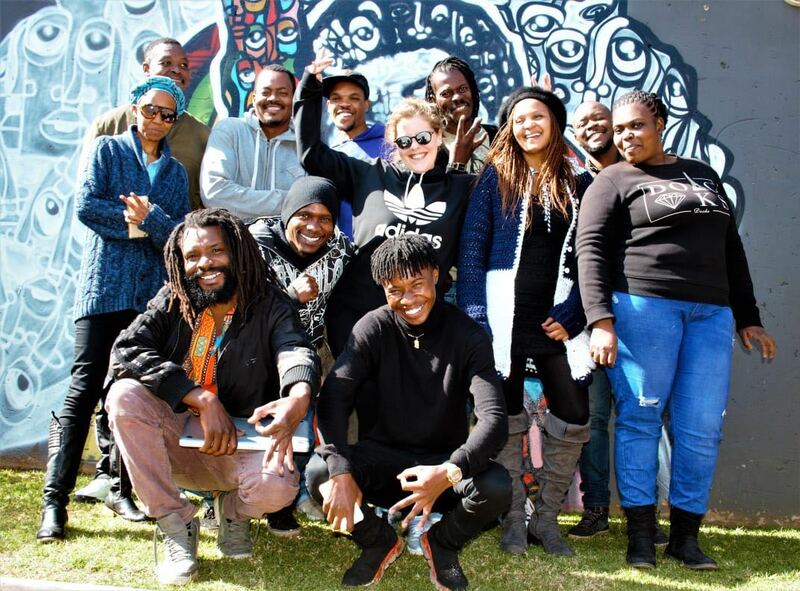 AfroCentric initiated an art project which involved 12 artists residing in or around Soweto. The task was to create and exhibit a single art piece to showcase their artistic expression in the light of “The Gift of Healthy Living”. All 12 canvasses were to be exhibited at Sun City from the 17- 20 June 2018. The artists selected to participate in the initiative was Senzo Nhlapo, Siya Mbola, Sicelo Kunene, Mbali Radede, Tumelo Mokopakgosi, Njabulo Ntutu, Silas Motse, Vusi Khumalo, Mduduzi Twala, Bongani Mahlathi, Sibusisi Sibanyoni and Sipho Radebe. After much deliberation, the winner was Senzo Nhlapo also known as Senzart911. 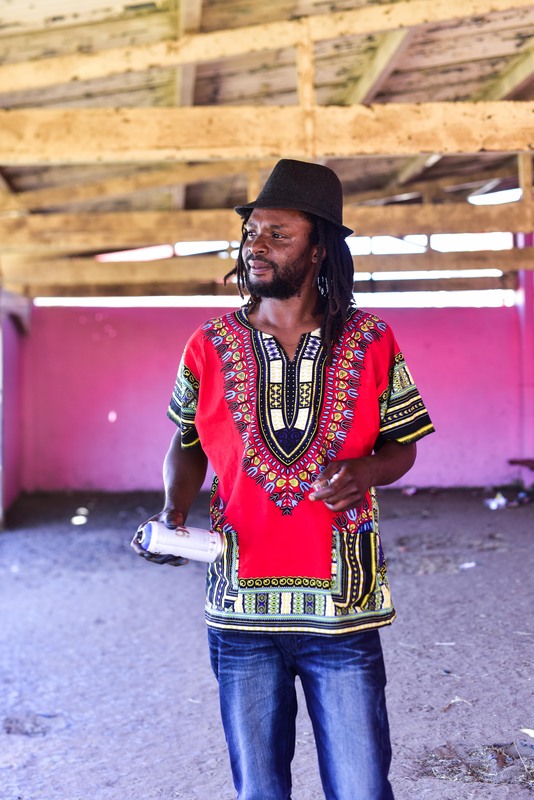 Born in 1979 in Mofolo, Soweto, his work orbits between art, design, architecture and poetry. His latest art, which he defines as African Pop Art, is a kaleidoscope of colours offset with cubism of the works of famous artists like Pablo Picasso and Georges Braque. Nhlapo studied fine art at the Funda Arts Centre in Soweto and did a degree in arts in Switzerland. He completed several postgraduate courses at Artists Proof Studio in South Africa, Academy of Art in Germany and the Ecole Supreme Des Beaux Art in France. His piece depicts transformation using information technology. It showcases the partnership in other countries and institutions that has to do with medicine. Through the image, the company depicts a sense of transparency which is symbolic for trust. Trust as we know goes a long way within business partnerships and investment companies. The artist impression with the use of the African mask represents the unity of the multicultural diversity within the African and European spectrum. The artist’s digital representation showcases the sustainable growth development within the different communities through information technology. These canvasses will ignite the spark of good health in the minds of all who sees it, blessing all with vitality because good health is, after all, the greatest gift.